ESP Projects, a customer of Design365 of over 6 years, contacted our Creative Director, Katie to add another site to his increasing portfolio of Renewable Energy businesses. The brief was he wanted the site to only use one page and hold all the relevant information so that users did not have to switch between pages, just scroll up, and down on their mobile device, IPads, Tablets or desktop PC. Katie has been working very closely with Biomass in making their requests possible for their requirements. 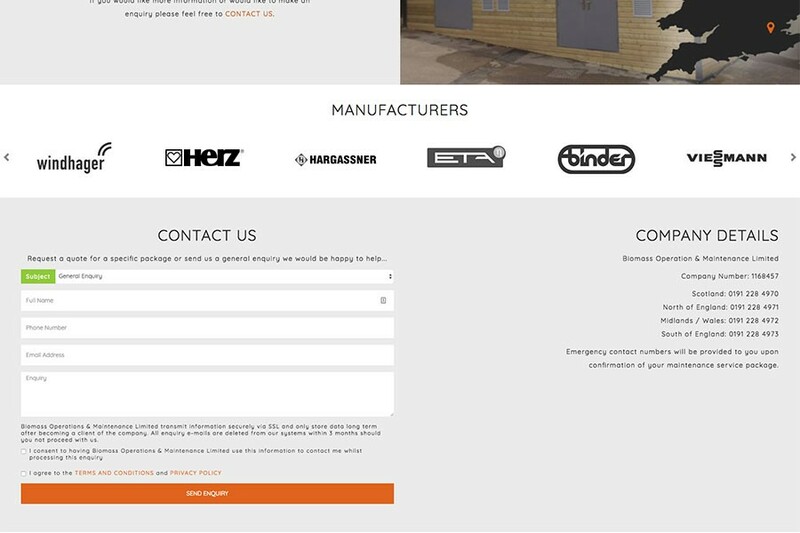 Design365’s created a bespoke design skills to create a professional looking website that fully met the brief. 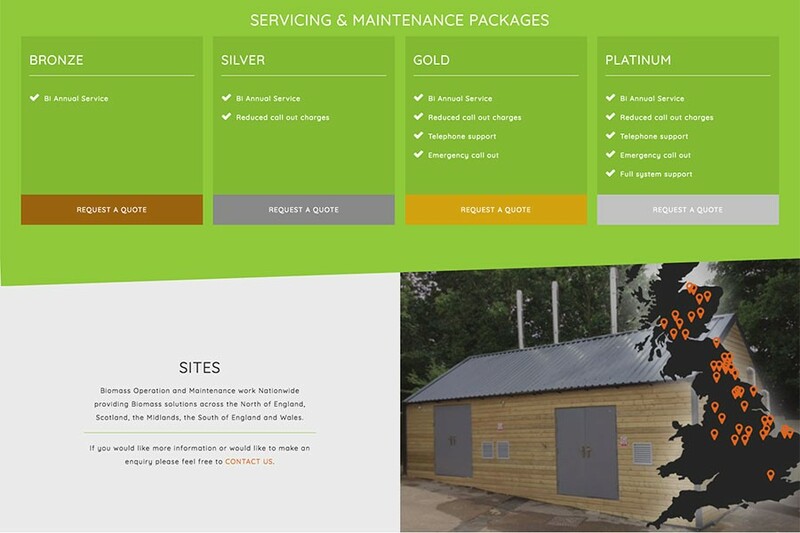 Whilst the site looks expensive to create, it is in fact one of our cost effective solutions and perfect for micro sites and smaller businesses. 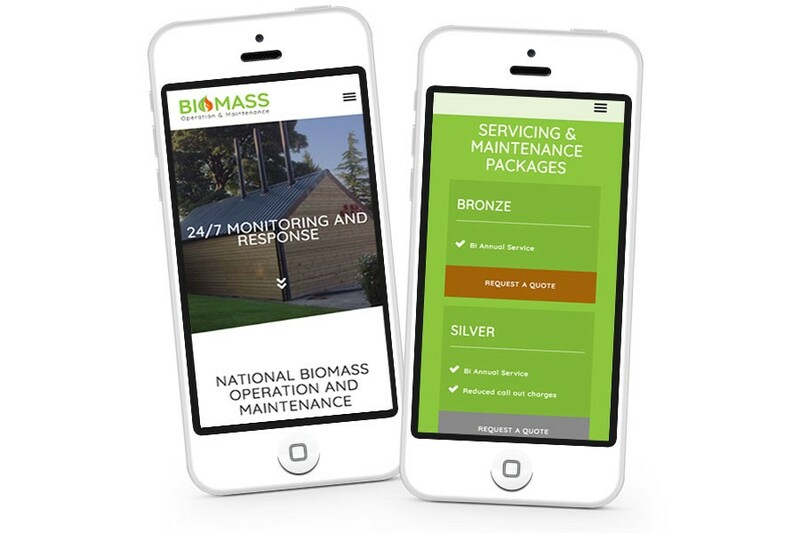 Their website has been built on a secure platform, making it truly responsive and easy for website visitors to view on their phones, tablets, Ipads etc. Our Data Manager also add then apply's an Secure Sockets Layer (SSL) Certificate, making the website secure for customer to input their details safety. 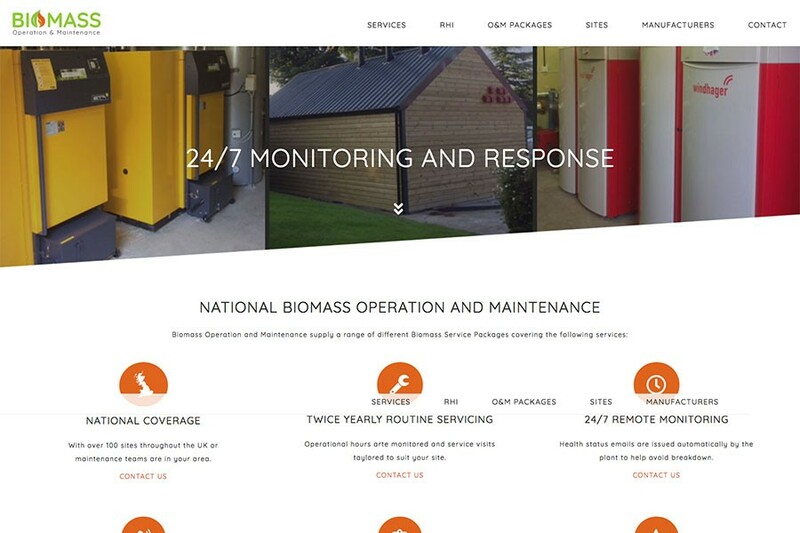 The Biomass website showcases the different types of services the company are able to produce. We also designed the company logo, giving it a fresh, clean look.